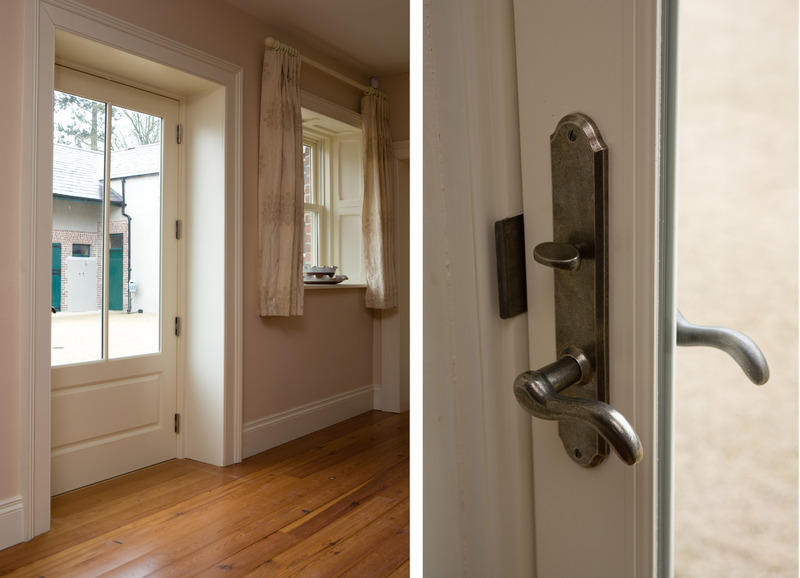 Custom built windows and doors in Victorian house restoration. 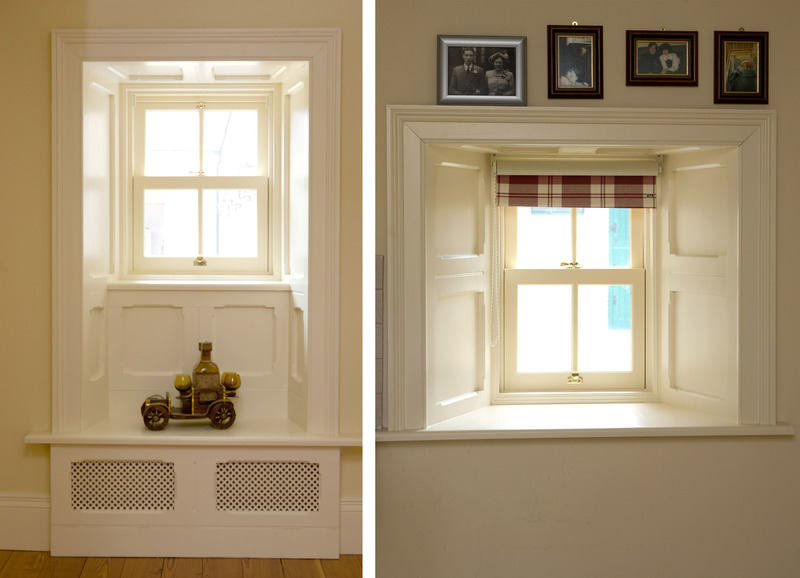 The brief was to to bring the authentic old world feel with high quality, draught proof and easy to operate Traditional Sliding Sash windows. The owners of this beautiful 18th Century Victorian Home had completely restored the house in early 2000. When the owners bought the house it was a shell. They restored the house completely to its original form ensuring that they used the most authentic materials. The owners decided to go to a joiner for their windows. It was obvious from an early stage that the windows were not good quality. They were draughty and difficult to operate. A number of the windows had become warped. The owners realised that replacement was the only option to ensure that they would finally have some comfort in their home. 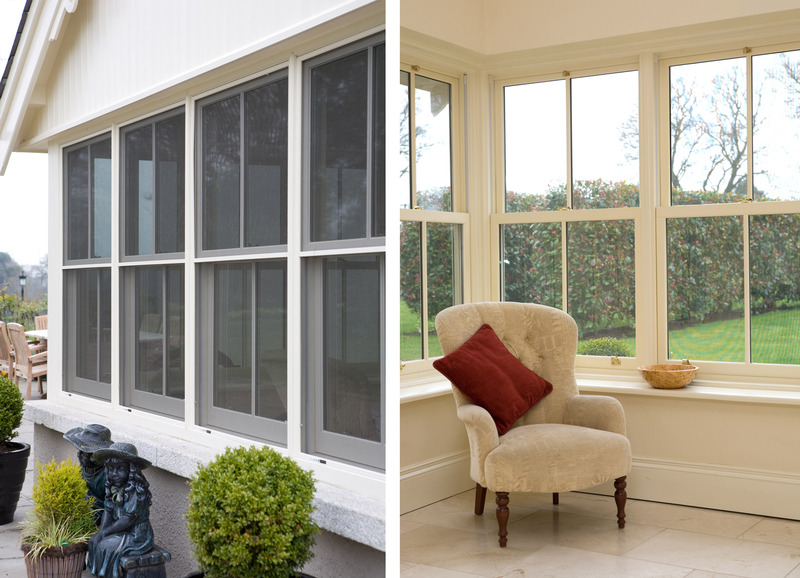 Signature Windows offered a custom built product that was draught proof and easy to operate. Signature called out to the house to take dimensions and mouldings of the windows. This house had 28” wall depth; this allowed Signature to build shuttering and architrave for the house. 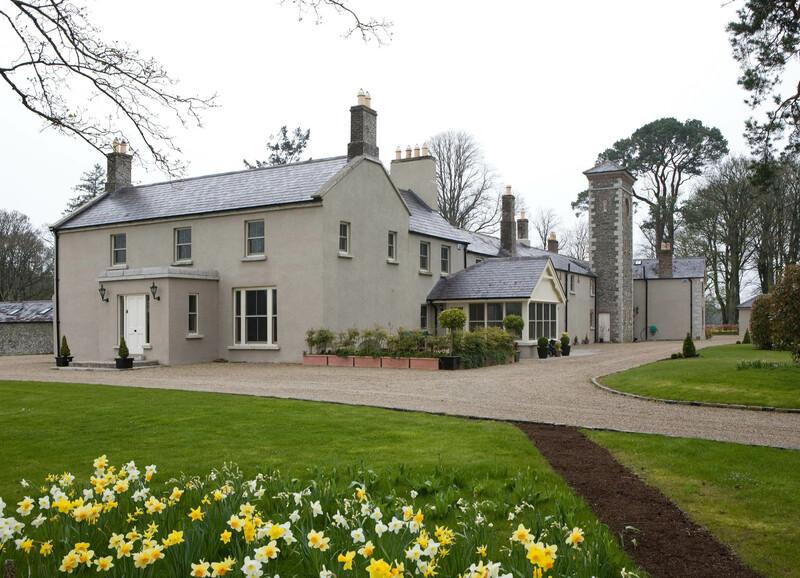 The owners decided on a number of Traditional Sliding Sash French Vanilla Aluminium Clad windows. The windows were painted by Signature’s specialist Painting Division. In total 60+ windows were ordered. In addition to the windows a number of special doors were crafted. As the owners had stayed true to the dimensions of the original door frames required a number of Half Solid Doors in French Vanilla Clad. These doors are a wonderful addition to the home and add to the old world feel. Installation went smoothly as the windows were custom built to match the frames the windows could be switched out. The architrave and shuttering was then used to complete the old world feel. Antique Brass Hardware was used to compliment the interior painted windows. For the doors the clients chose Stone River Bronze Hardware, this hardware is a beautiful addition to any window or door. Another feature in this house is Fly screens these are easily attached and removed from any window. “We are shocked at the difference in the house, not only does it look more authentic it feels so much more like home”. Restored 18th Century Victorian House. Magnum Sliding Sash Half Solid Doors. Stone River Bronze, Antique Brass Hardware, Specially customised windows Fly Screens.